Wait a minute… what does that even mean? Best 3 fruits? Of course, it is practically impossible to categorically say which fruit is better – trying to do so would be like the proverbial comparison of apples with oranges! It must have the best combination of nutrients, when by “best” we mean most balanced. In other words, a mix of a large number of different nutrients, in quantities that are big enough to have a meaningful effect on your health. It should have the best price and availability. If the best fruit in the world is a mysterious berry that only grows twice in a decade on a remote Himalayan foothill when the wind blows from the West, it is of no practical value to us and therefore not the best. The best fruit must be reasonably priced and readily available from the usual places where fruit is sold in Australia. Too many of the “super-food” fruits we read about are not worthwhile if most people can only afford to eat them once in a blue moon. The best fruit is one that you can enjoy any time you want to eat. The best fruit will be relatively unique. 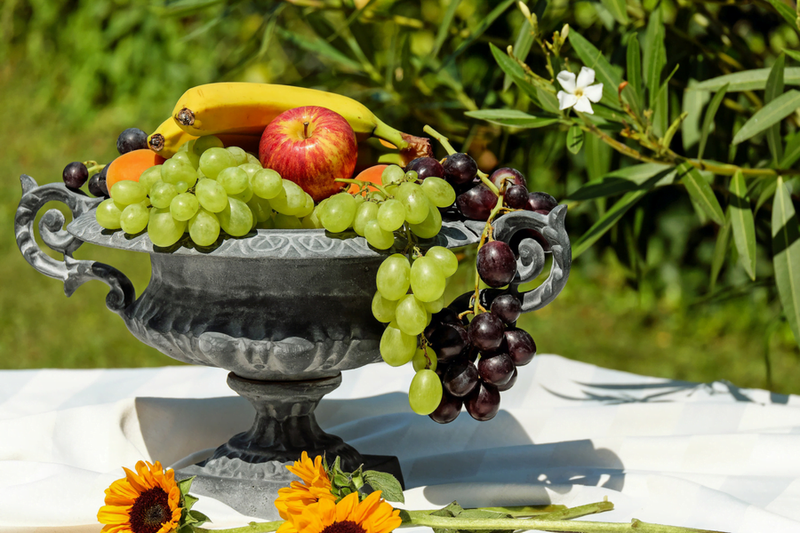 From a practical standpoint, there is no meaningful difference between two different fruits if they are both going to deliver the same sort of digestible nutrients to your system, even if one has a fractionally higher amount of some micronutrients. The best fruit will be head-and-shoulders ahead of most other fruits in some particular way. Eating that fruit will give you a benefit that eating an alternative will not. Taste! It must taste good! Not only must it taste good, but it must have some unique flavour, smell or texture that make you want to eat it rather than an alternative fruit. This gets tricky when you consider that we all have different taste preferences. However, we can use this measure to rule out the sort of fruit which most people choose not to eat without some sort of alteration. Fruit that is generally regarded as being sour, bitter, tough, rough, fiddly, or slimy cannot be said to be the best for this reason. This is Calorie Counter Australia, so of course calorie count is a key consideration. In this case, the less calorie-dense the better. Okay, so they are not cheap but they are widely available and they score really high across the board. Their best attribute is probably their relative uniqueness in having a very high antioxidant content. The sorts of compounds we call antioxidants are a hot research topic and there are many academic papers being published around the world going back and forth, debating the true value of them in our diets. You may read many seemingly contradictory things about them, but one thing is certain: they are really good for you, in many different ways. They are good for you in ways that scientists don’t fully understand yet, but think anti-aging, anti-cancer, anti-diabetic and a whole lot of other “anti-bad stuff”. You may have read about stilbenoids like reservatrol and pterostilbene, well blueberries are stacked with them. Eating about half a cup of blueberries will boost the average person’s daily intake of anti-oxidants by 100%! In addition to this uniqueness, blueberries have good quantities of many other micronutrients (vitamins and minerals) and they have a low calorie density. On a side-note, the blue stuff in blueberries that give them their colour also kills bacteria! Kiwifruit is so good for you that it might be considered a medicine by some people. Why? Because there is real peer-reviewed research which found that kiwifruit reduced some respiratory problems in children. There is also research which found that kiwifruit thins the blood with a similar effect to the “baby aspirin” commonly prescribed to people at risk of cardiovascular problems. Of course, we are not advocating that you stop taking your meds! Keep taking your medication and follow your doctor’s advice! In addition to all of the above, kiwifruit has admirable amounts of minerals and vitamins that you really need to get into your system every day if you are going to do the best you can for yourself. That’s right – more berries! The main reason that strawberries makes the cut is that they stand out in folic acid, Vitamin C and taste levels. This in addition to the fact that they are a great choice for all-round micro-nutrient content and low-calorie goodness. In addition to high levels of folic acid, strawberries have high levels of other Vitamin B group compounds like niacin. These B-complex vitamins have many and varied health benefits such as allowing cells to get the most “bang for buck” from energy sources like carbohydrates. And yes, they are high in anti-oxidants! Whilst this list is accurate given our stated requirements, each individual person will probably have a different list of the best 3 fruits for them, because we all have different requirements and lifestyles. So, eat lots of fruit and make the right choices!